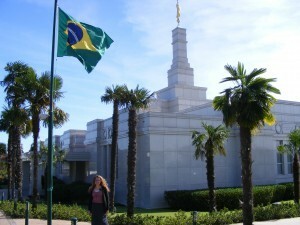 This three-part episode features a wonderful discussion about some of the peculiarities about the LDS Mormon experience inBrazil, as well as the many ways that LDS experience seems universal. In doing so, it introduces Antonio Trevisan and Marcello Jun de Oliveira, two Brazilians who are leading the ABEM–Associação Brasileira de Estudos Mórmons (Brazilian Mormon Studies Association)—a fledgling group modeled somewhat after Sunstone as a similar effort to explore Brazilian Mormonism through historical inquiry, scholarship, and other mediums, including an annual conference. It also features a terrific young scholar moderator, Rolf Straubhaar, who served his mission to Brazil and has returned several times as a graduate student doing ethnographic work in comparative education.